I wear kimonos probably almost every day in summer and my kimono collection is constantly growing especially when the Spring/Summer collections came up haha. This one is one of my favorites, it has the perfect length, great colors and a pattern which goes with everything. I remember searing for an acid washed denim bustier last summer, but I didn't found the perfect one. By chance I found this beautiful one by MinkPink which is one of my all time favorite labels. It's so cool and perfect for hot days! The shorts I received from Romwe are one of my most comfortable ones I owned, can't wait to wear them with print shirts, bustiers or beneath sheer tops/dresses. Giveaway: Win a zebra leggings from Romwe.com! 2. leave a comment just below my post. 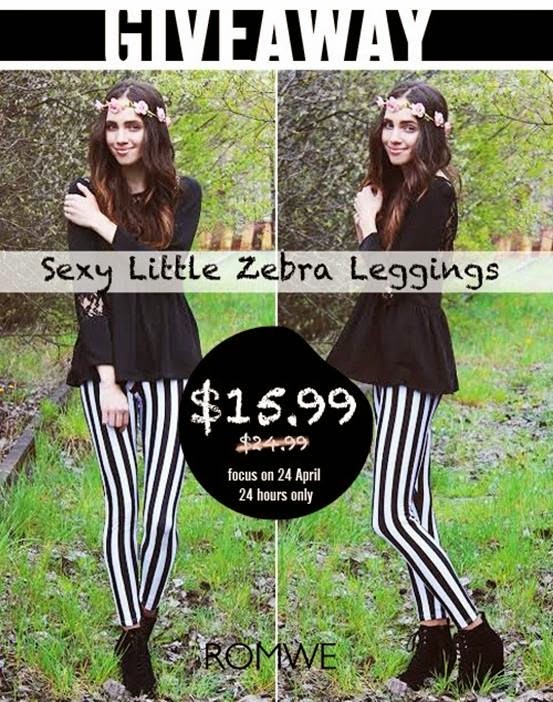 Btw, the stripe leggings will be $15.99 on 24th April. Here is an inner coupon for you: 10%offleggings It’ll help you save another 10% for the leggings on 24th April. It's okay to be cute sometimes. My cutest look ever, huh? I have to admit that I enjoy watching animation movies and I literally fall for every cute cartoon character! So it's probably no big surprise that this blouse immediately caught my eye and I was just like "awww cuuuuute!" especially because I love these cute, yellow and nerdy pills aka Minions. I think you will never be too old for watching those kinds of movies and they are a lot of fun, aren't they? I don't want the look to be too cute and girly, so I grabbed my spiky chocker you already know from my last outfit, some lace tights and my disco shorts which look great together with tied blouses. This look is dedicated to my love for Los Angeles. I have no words who could explain how much I love this city, the people and the lifestyle there. Moving to LA is one of my biggest dreams I have since I was a little kid. Hopefully I'll spend some time there soon, because after finishing school there are way more possibilities. At least I hope so haha. Well, now talking about the look: I bought the shirt more than one year ago when I was shopping at Brandy Melville for the first time and they've got some really cool tees! It's really californian inspired what I love! 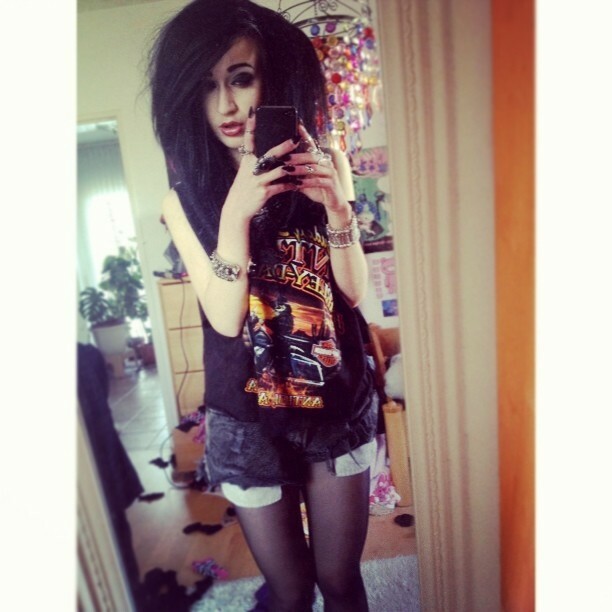 Tank tops with huge arm holes are the best ones in summer, especially when wearing them with some cool shorts! Of course you HAVE TO wear a cute bra or bralet underneath or it really looks a bit… yeah, offensive! 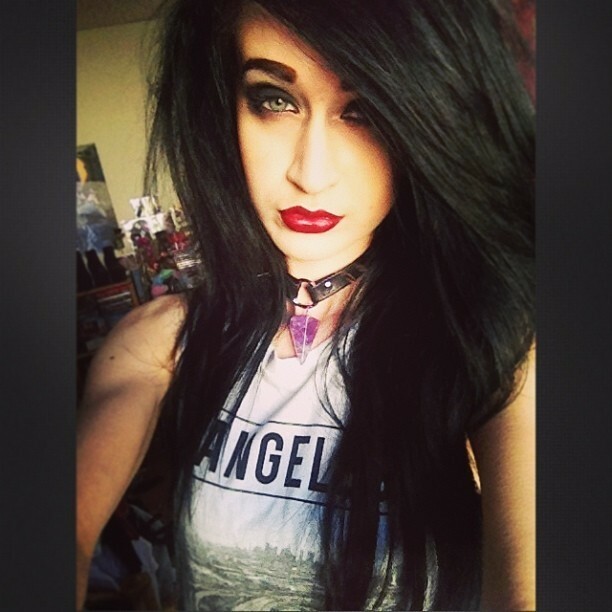 I really love the chocker I bought from Ivory Jar, it's so perfect. It has some studs and an amethyst pendulum pendant, so it's kind of a mixture of boho and punk. 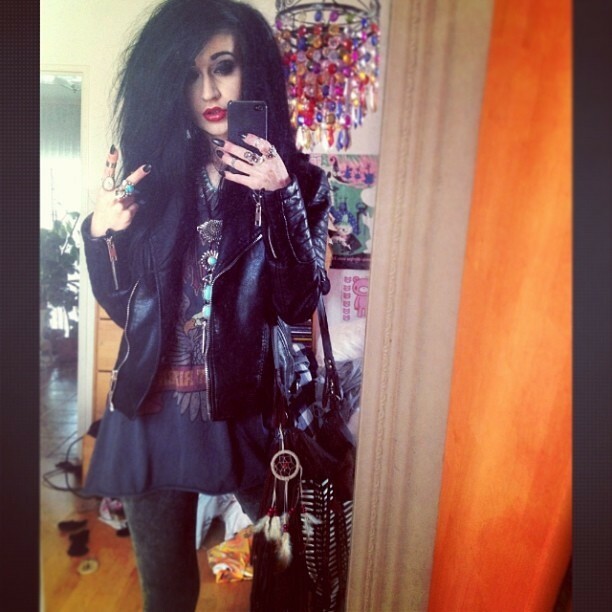 I'm definitely wearing it way more often, it adds some cool grunge feeling to every look. Instagram Update: What's actually going on right now. 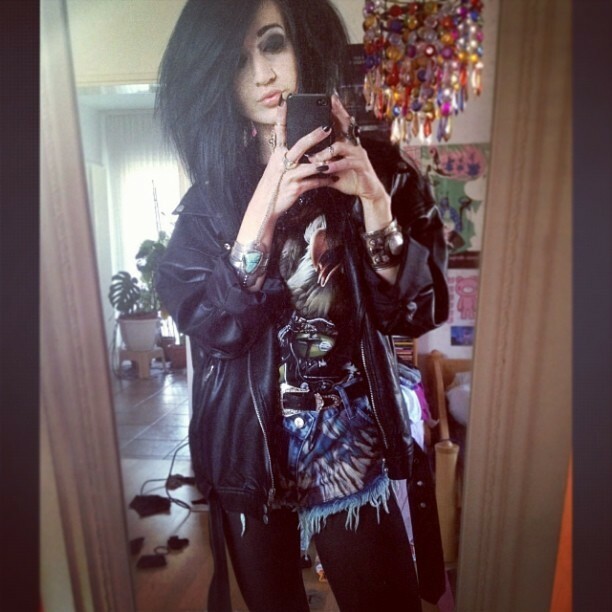 I took many mirror selfies the last two weeks as you can see haha. The weather was perfect last week, so I was finally able to live out my Kimono obsession! Now the weather is the typical european april weather - cold, rainy, sunny, stormy… It doesn't want to make a decision, I guess. BUT: I finally have two weeks off! Unfortunately I still have to study for my final exams I will have just right after the holidays, so "being lazy" all the time won't work. ;-P Anyway I'm definitely going to post many new looks, some new inspirations (like the upcoming Coachella '14 inspiration I planned!) and other updates. I've wanted to do an post about some parts of my wardrobe and my 'collections' since like forever now and I definitely do this by no later than in the end of may when my school work will be finished! Be prepared for some new features, I really want to put my blog on a higher and more professional level. I can't wait to post daily for you guys! Listened: Many old songs by Metallica and Pendulum. I fall for Electronic and Rock! Read: My "all you have to know for the final exams" maths book, baaah. (yes I hate it. ;P), some fashion magazines. Watched: A really cool documentation about the dark side of the catacombs in Paris (here) and the lifestream of Skrillex's performance at Coachella (here). It's like perfection. Bought: A lot of jewelry actually. 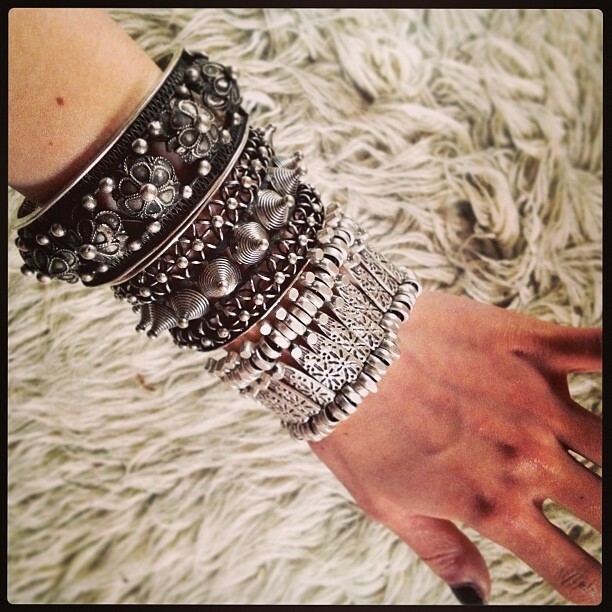 Summer is coming and I'm obsessing over tribal bracelets, necklaces and rings. I want to layer them all up! 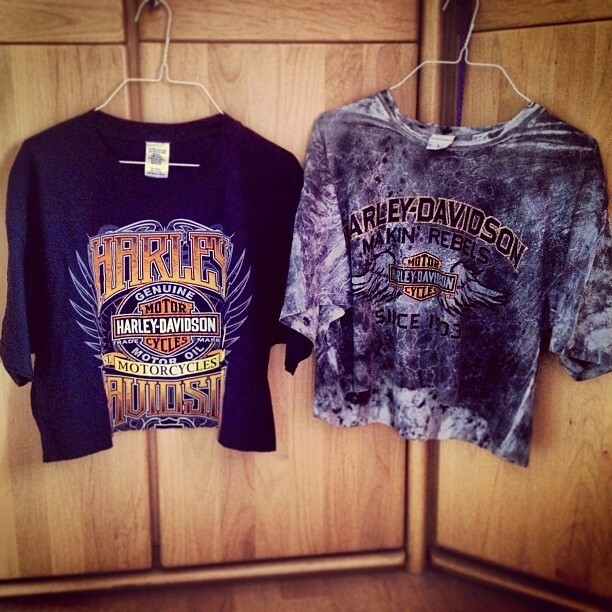 Some amazing vintage Harley Davidson tees. 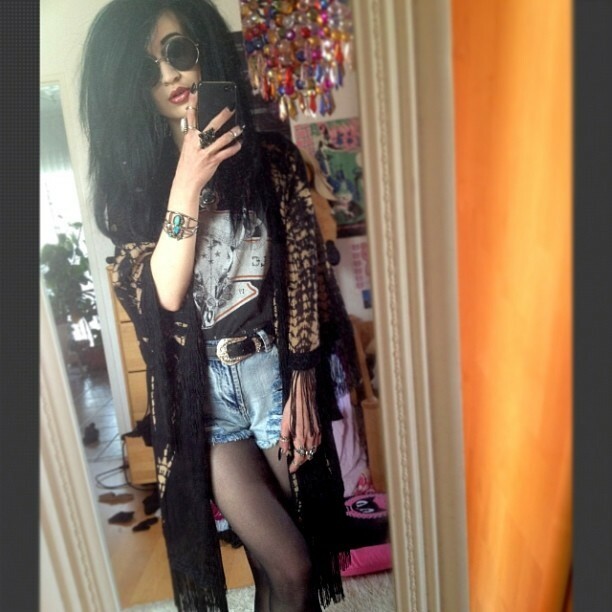 (my weakness…) Oh and a new kimono I've wanted for ages and which was restocked on NastyGal.com! Wished: Love, Life and Peace at Coachella. I've never wished being at any festival as much as being at Coachella. I literally spend hours stalking the Coachella feed on Instagram and watching the broadcast hehe. Happy because…: Holiiiidays. My new upcoming looks I'm going to show you asap! I'm looking forward to…: HOT summer nights. 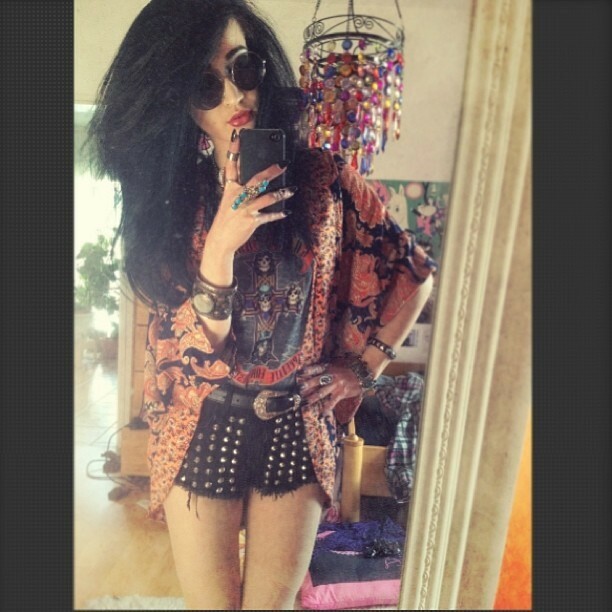 I would definitely wear that outfit at Coachella, I really would do everything to be there this year. Unfortunately I live in Germany, you know and I have my final exams soon (already getting stomach cramps when thinking of it…), so I'm not able to fly spontaneously to California. Maybe you already noticed that I'm mostly using lyrics for my post titles, this one is a passage of the song "Recess" by Skrillex. I literally can't stop listening to that album, somehow it's not getting boring or annoying. Sonny always does a great job with his awesome bass drops. And yes, the fact he does play at Coachella this weekend doesn't make it easier or better for me to stay here boohoo… Hopefully there are some damn live streams or recordings later on Youtube! You won't take my dreams away.